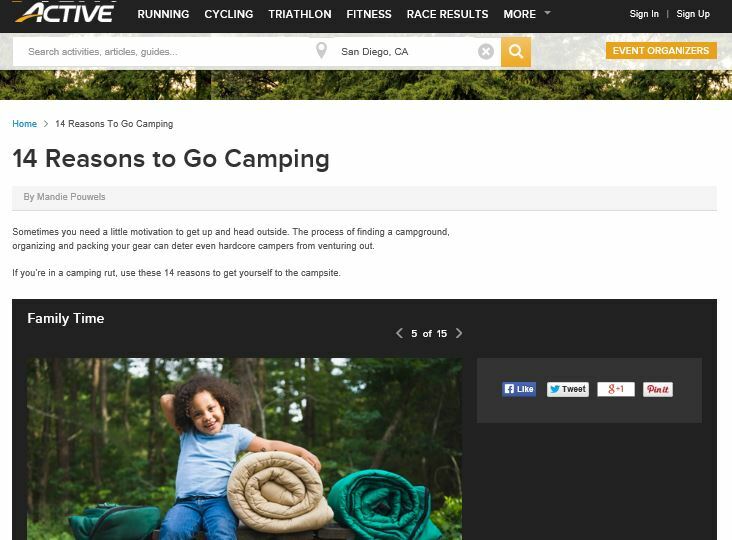 If 5 reasons to go camping wasn’t enough, check out 14 Reasons to Go Camping on Active.com. Spend time with your pets. Refresh before the work week. Very true. I love camping! Being one with nature, and being outdoors at nighttime which I rarely am at home.